Recently, I've been checking out a dancer that I got a chance to see perform with the Gen Z recently at this year's Ultimate Brawl Dance competition hosted by the fam from UC Riverside's 909 Hip Hop Dance Troupe. Here is the performance with his team! This ambitious dancer from the Inland Empire to West Covina, who is better known as Jon Slajer! He's been dancing since a young age and hasn't let obstacles take over his dream. I go one-on-one to get to know more about this amazing individual. He's currently holding 41.2k followers on Instagram. No matter what day of the month it is, you will find this ambitious young teen having no days off working and practicing dance choreos. The Lab Creative Arts Studio is his home and also the home to World Champion dancers and athletes who have been featured on NBC’s World of Dance Season 1 & 2, So You Think You Can Dance, The Ellen Show and have caught the eye of mega artists like Cardi B, Chris Brown, Lil Kim and many more. Recently, he got a chance to discuss more about himself with one of Los Angeles best barbers, Sofie Pok. Check out her work head over to her social media. Where were you born and raised from? I was born in Loma Linda, California which is San Bernardino until the age of 7 then moved to Utah until age 15. What impacted your love for dance? I tried dancing at my middle school where they mostly focused on modern and contemporary dancing. The teacher There Janika Hayes was the one who introduced me and helped gave me opportunities to experiment with choreographing, improving, and leadership. Who impacts my love for dance now is the lab and my directors and peers, the bond we share at the lab and Westco is what really keeps me there. How would you describe your daily life? I live with friends, mostly two, John Garcia and Jonathan Gonzalez, I pretty much bounce back and forth from friends houses and go home to Redlands on holidays and special occasions. What were the struggles you faced? There was no dance where I lived in Redlands, and I wanted to dance in high school for sure. It was my purpose, my purpose to keep my grades up, what I looked forward to throughout the day, my motivation to get up in the morning. There was no dance near me so I looked up “best high school dance teams” and West Covina came up. I tried out for all male, made it, but there was no way for me to get there. I took the metrolink everyday from San Bernardino to covina and took the bus or Uber to school from there everyday. I had practice everyday after school and would take the train back everyday and get there around midnight. My mom would take me to and from the train station. Although my mom got tired of never having me home and always coming home at absurd hours. She got tired of having to pick me up. She tried to pull me out of dance, threaten, and bribe me in different ways to quit dancing in West Covina, but I wouldn’t take no for an answer. There’s been times where I’ve threatened to hitchhike to practice because my mom wouldn’t take me to the train station. I never missed practice, not once. There may have been times where I was a couple minutes late, but no more than a couple. Biggest fear is letting down the ones who care about me. I thinks that’s why I get nervous when we do groups in practice. I get nervous that I might not live up to their expectations. That’s why I never “go off” because I worried too much if I’m going off or not. Instead of being free and not caring what people think. I’m also afraid of losing the ones i love. I used to be afraid of being alone, but my situation and experience shaped me to know it’s ok to be alone and sometimes you need time alone. And of course spiders. Is dance like an escape from the real world? Dance is an escape from the real world for me, if I don’t dance, I get anxious and I just have to be dancing always rather it’s taking class, freestyling, or just messing around and grooving. Dancing just keeps me stress-free and keeps me sane lol. My goals motivate me to keep going, I like to set goals for myself and not stop until I reach them. I believe anything is possible and everything happens for a reason. I understand the process and I know it may not always be my time to shine, so I trust I my directors and captains, but I always give me 110% no matter what. I know what I sacrifice to be at practice, so might as well make the most of it while I’m there. There’s no time to get complacent or lazy. I’m always grinding. When did you discover your love for music? Was it from dance? I actually started playing instruments way before I started dancing. I started piano when I was 7 years old and have been playing since. I used to ask for drum sets and guitars for Christmas so I can learn to play all kinds instruments. I was lowkey spoiled so I always got them. I even started a little band when I was in 5th grade with my friends, we submitted original music to the schools art contest and would play At talent shows and during lunch. I was the piano player and my friends would sing. During middle school my mom bought me a cheap mini recording studio and I forced my dad to build soundproof panels with me and I got to have a mini recording studio in my room. I loved making music and writing songs and messing around recording them. I even started a cover channel where I sang on YouTube but ended up deleting them. Anyways, music has always been a big part of my life. Being a young teen, what would you tell anyone who wants to follow their heart and dreams but afraid of something new? Don’t let fear get in the way of chasing your dreams. Anything is possible. Even if your situation is not ideal. Make it ideal. If you aren’t willing to do WHATEVER it takes, then you really don’t want it that bad. I aspire to be the best I can be. I want to be the best dancer I can be, the best actor I can be, the best musician I can be, the best person I can be. I know there’s always going to be someone better and that doesn’t matter. I’m only competing with myself, nobody else. 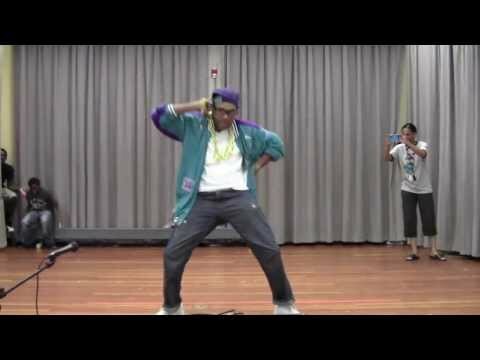 Favorite choreo that you have done in your life? The best choreo I’ve ever done was keone and Anthony lees collab at arena dance camp 2018. They taught to a whole song. The best class I’ve ever taken for sure. The best piece of advice I’ve ever been given is to own what I have. Focus on what I do have any nd not on what I don’t have. Focusing on the positives will always keep me going. Not to dwell on the negatives. What's the meanest critic you have received in your career? I wouldn’t say I’ve gotten a mean critic, I’d say the hardest thing for me is having confidence when I dance, and I’m constantly being critiqued on not having enough confidence. Who’s the most played artist on your phone right now? Most played artist on my phone right now is Chris Brown. What's your favorite new track that's out? “Big Bank” is my favorite song out right now. Who would you love to collab on a choreo with? I’d love to collab with my friend Sienna lalau she is crazy talented and has been a huge part of my growth over the past year. I appreciate her so much and she’s one of my biggest inspirations right now. Who's going to be the next person you are going to collab with? I’ll prob collab with my roommate John Garcia next. We love to make fun dance videos of us just messing around grooving to songs that are in right now. We’re probably gonna do the in my feelings challenge soon because it’s hype right now!! It’s funny when someone insults someone but the other person turns their insult back on the other person, it just makes that person look stupid they insulted in the first place. Can’t think of an example, hope that makes sense. Are we expecting anything new soon? Okay let's have a bit of fun what's your favorite kind of Oreo? I like the double stuffed Oreos cuz it’s twice as good. If your hungry what is your go to snack? My go to snack is CHEESE ITZ . I love cheez itz! White cheddar is my favorite. Tell Me about the last dream you had? The last dream I had was probably waking up late for practice, I’ve seen that happen to some of my peers and I would never want that to happen to me. I hate being late to anything in general plus I don’t want to be the reason my team conditions. Favorite song of all time would be unsteady by X ambassadors or any song by Sia, I love sia, ever since i performed with her on Ellen it made me realized how amazing and underrated she really is. What's a piece of dating advice you would recommend people should know? Always focus on your career over dating. Work now date later. Don’t let relationships be a distraction. If you can manage both, do both. 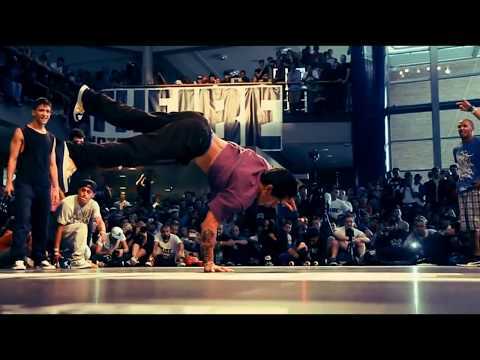 To do HHI, compete one NBC WOD and go on Tour with an artist. I want to get back into acting and get somewhere with that. That’s a whole other story but I love acting. I don’t like showing emotions personally as myself, I love to put myself in other people's shoes and use my emotions that way to tell a story. I’m @jonslajer on all platforms, insta and Twitter is what I use most. Is there anything else you want to let everyone know? If you want something, go for it. Don’t hold yourself back. You are in charge of how you live your life, make it the best and BE the best possible person you can be! Here is his most recent piece out RIGHT NOW! He took a bit out of his own comfort zone during his class. 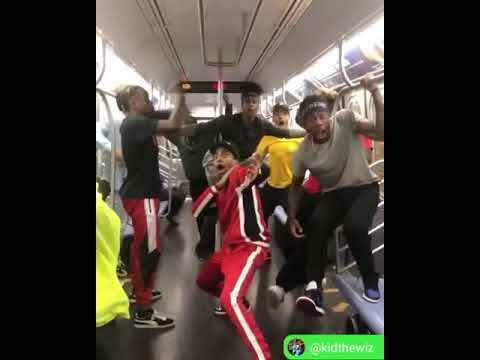 Being in center was a change for him here along with his 2 other teammates choreograph a song by Kehlani called "Jealous"
Tap in with the homie right now down below! New Music Means New Dance Choreographies! Phil Wright Recently Has Dropped New Dance Choreographies for the Summer.